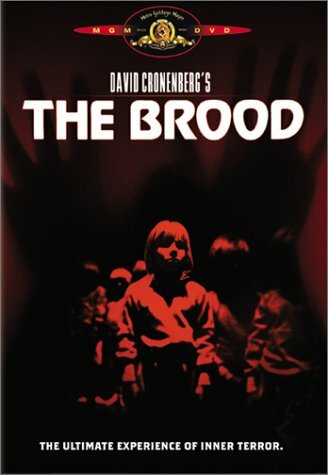 John’s Horror Corner: The Brood (1979), Cronenberg’s approach to metaphysics, evil children and modern psychology. MY CALL: With all the best effects and most disturbing imagery limited to the final scene, this film remains powerful by virtue of its uneasy atmosphere, which persists throughout. I expected more in the gore department, but was impressed nonetheless. 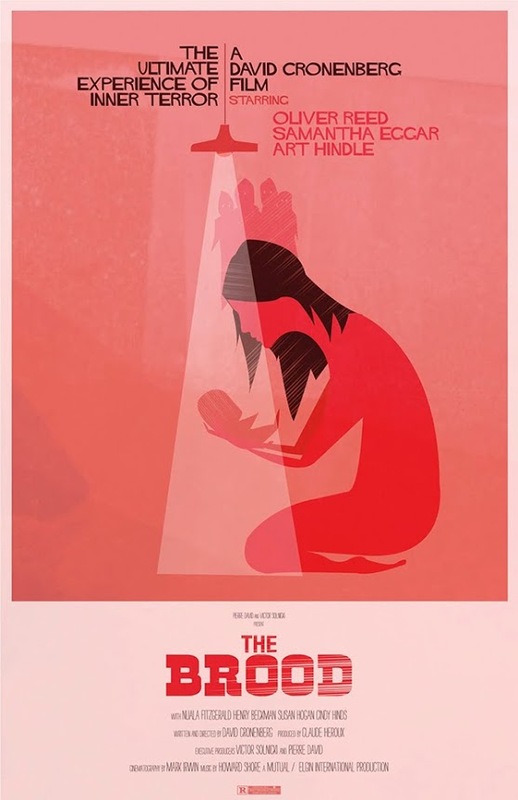 MORE MOVIES LIKE The Brood: I’m reminded of Altered States (1980), Possession (1981) and The Manitou (1978). DISCLAIMER: This review has SPOILERS (mostly in the form of images) and the images presented are very NSFW. 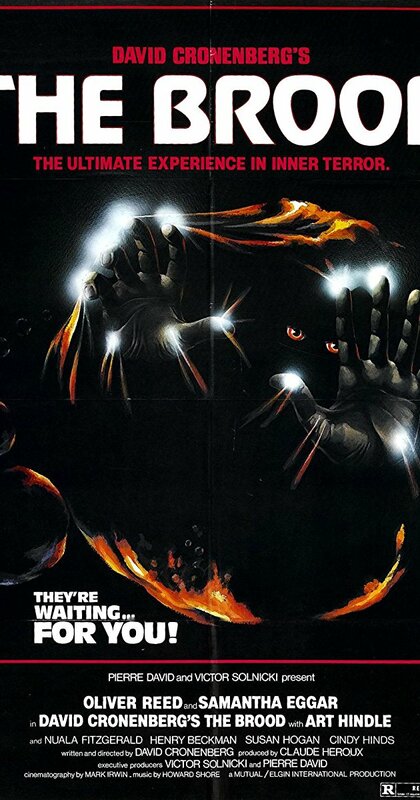 Canadian director and writer David Cronenberg (The Fly, Rabid, Videodrome) makes some serious statements about modern psychology and metaphysics in this 70s horror oddity. One-on-one sessions between Doctor Hal Raglan (Oliver Reed; Venom, The Pit and the Pendulum) and patient Nola (Samantha Eggar; The Astronaut’s Wife, Demonoid, The Uncanny) strike me as intense to the point of perpetual creepiness. Raglan roleplays Nola’s mother and daughter (among others), spelunking his way through Nola’s fears, secrets and trauma. We learn that these sessions are quite frequent as Nola is undergoing therapy at Raglan’s private facility. 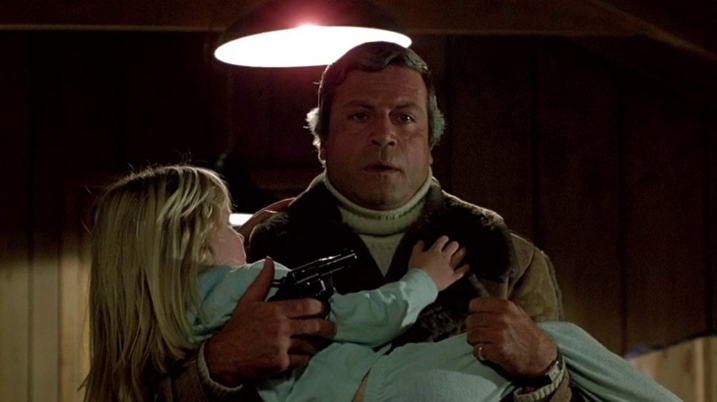 After a weekly visit with their daughter Candice (Cindy Hinds; The Dead Zone), Nola’s husband Frank (Art Hindle; Invasion of the Body Snatchers, The Void, Black Christmas) becomes alarmed after discovering scratches and bruises on their five-year old. Raglan defends Nola, who is not permitted visitation with her husband as she is at a “critical stage in her therapy,” and Frank becomes ever more suspicious. Things escalate when Nola’s mother (Nuala Fitzgerald; He Never Died), father, and Candy’s teacher all turn up brutally murdered by diminutive killers. 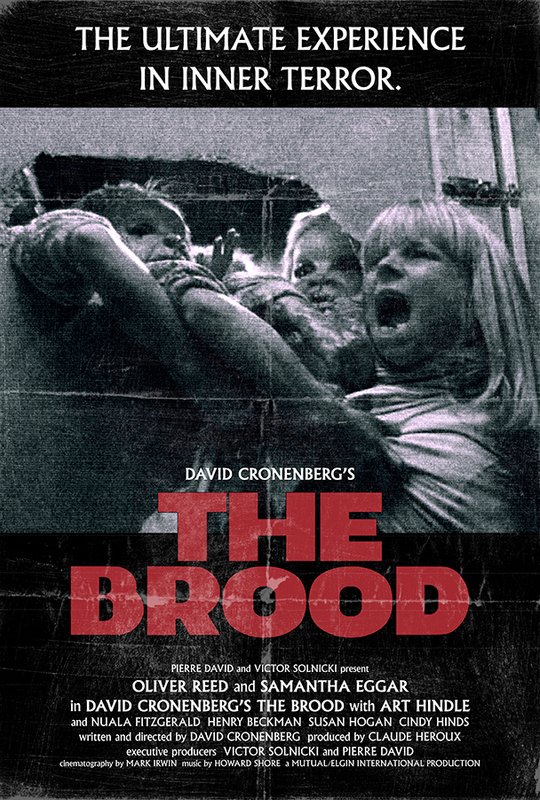 Early encounters with “the brood” are akin to evil dwarf attacks. We witness destructive mischief and malformed creatures reaching for weapons, but we don’t see the twisted little assailants. The first encounter with these monstrous little humanoids is neither scary nor gory, and is only brutal in concept (but not so in execution). Subsequent scenes unveil more blood along with our killers’ deformed faces. It seems that through an unexplained treatment protocol of psychoplasmics and her resulting physiological changes, Nola has physically manifested her rage in the form of her brood. 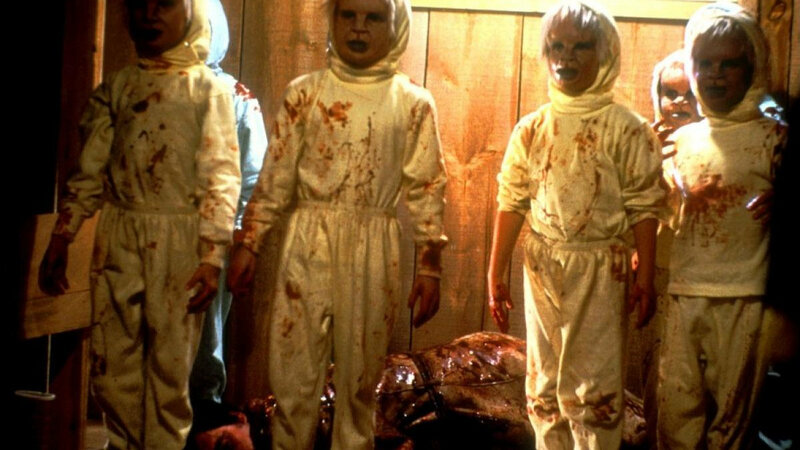 Following Shivers (1975) and Rabid (1977), The Brood will not hold a candle to the gore or visceral brutality of Scanners (1981), Videodrome (1983) or The Fly (1986)—three films which remain today much more visually pleasing than Cronenberg’s earlier work. No, this film’s imagery doesn’t pack a punch anymore when viewed today. What it does have is atmosphere. The film’s focus on Nola’s therapy is off-putting yet intriguing, and it makes the final reveal all the more powerful (and still impactful, contrary to the film’s death scenes). Many times, I couldn’t tell if I was being clued in or misled by the direction of Raglan’s roleplaying—but these scenes always held my attention and invested me in Frank’s effort to protect his daughter from a mentally unstable mother. Moreover, we find ourselves constantly questioning if Raglan is a villain or ally or ignorant bystander to the true forces at work. With all the best effects and most disturbing imagery limited to the final scene, this film remains powerful by virtue of its uneasy atmosphere, which persists throughout. I expected more in the gore department, but was impressed nonetheless. Arguably his best film. Tends to go unnoticed. Best in concept. But I can’t put The Fly remake as second to anything. The Fly is great and very disturbing at times. It’s difficult to go far wrong with any 80s Cronenberg, to be honest.